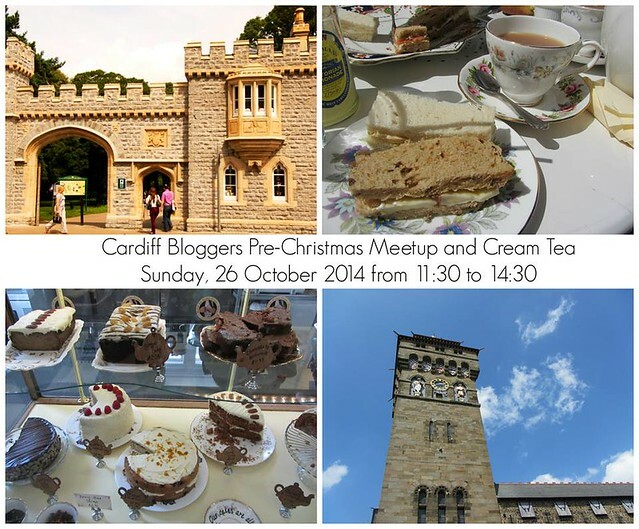 Come and join us for a fun and friendly meetup over a lovely cream tea at the beautiful Pettigrew Tea Rooms in Cardiff City Centre. The event with be taking place on Sunday 26th October at 11:30am. Your ticket includes an enhanced cream team (full details still to be confirmed) but will include some scrummy cakes, scones with cream and jam and accompanied by a selection of hot drinks. (Plus a lovely little goodie bag). Gluten free cream tea is available - please let us know. I've been to Pettigrew's a handful of time (post here) and love the place, they bake everything on site and are super friendly so it's going to be a great event. This event is open to all bloggers, you don't have to be from Cardiff or Wales. If you're coming from the South West and don't know your way around Cardiff I will be happy to meet you at the train station. After the cream tea we plan to have a little mosey around the Cardiff Fashion Quarter which is filled with independent and vintage stores and the perfect place to take some photos and shop. All ticket money goes to Pettigrew Tea Rooms for refreshments and they promise to be something tasty and special so I hope the fact that it is a ticketed event doesn't put you off. The other organisers are the very friendly Laura and Chantelle who is was the mastermind behind the last big Cardiff Meetup I planned a couple of years ago. Who else am I going to see there? I can't wait! Ho wonderful to collect a group of bloggers to share their experiences. Your offer to collect someone at the station is so generous. The venue sounds ideal. Oh, how I wish I could join you all. Looks like a great event! I am craving cake after seeing that picture now. This sounds amazing! Can anybody attend? I'm a fairly new blogger but would love to meet up with others! Trouble is, I've got a tiny baby so it's a bit difficult to get out and about at the moment. Cream tea though, yummy!! I've never been to Cardiff, but would love to go and your event sounds like a great opportunity. I am inspired by your six stone weight loss, I am currently trying to lose weight and I am like you: I always wear trousers or skirts. Not a jeans fan. I will twitter you and hopefully see you at the end of the month.